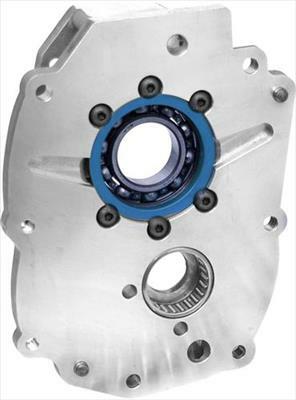 Trail Gear's Trail Creeper Dual Transfer case adapters will allow you to double up your transfer case to give you the gears you need to crawl up near anything. 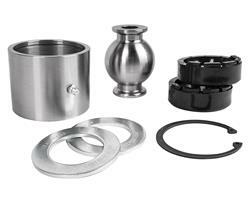 This kit comes with all the components to adapt a secondary case to your existing transfer case. Securely maneuver motorcycles weighing up to 1500 pounds with the Black Bull Motorcycle Dolly. Hold your motorcycle upright and easily move your bike in tight spaces around your garage or storage space. 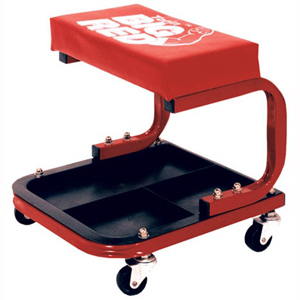 12 heavy duty steel casters evenly distribute the weight of the motorcycle. 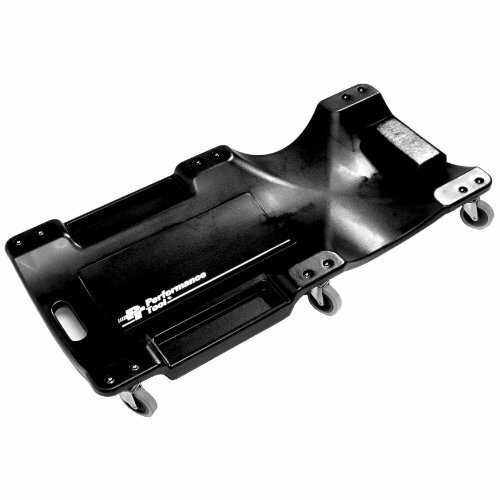 Accommodates various size motorcycles, easily maneuver any motorcycle up to 1500 lbs. Overall size: 118 in. L x 28 in. W x 2 in H, weighs: 100 lbs. There is always a premium on storage space, but that doesn't mean your hobby car has to sit out in the elements in your driveway. 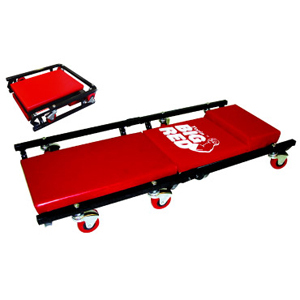 Safely move the car into a position it could not safely be driven into with the Black Bull 2 Piece Car Dolly Set. Get the most use out of your garage or storage space. 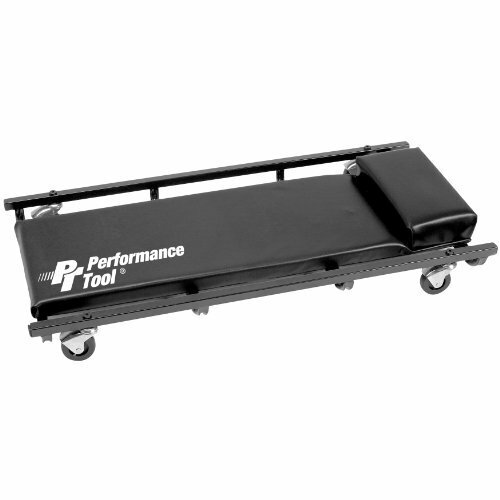 Install a single car dolly under each front or rear tire to move any car backwards, forwards, or sideways. 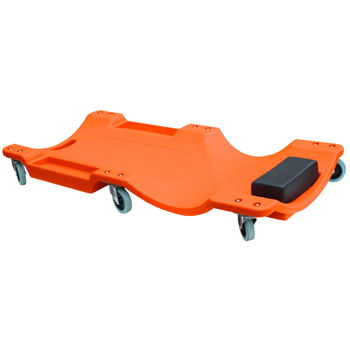 Each steel Car Dolly can bear a weight of up to 1000 pounds so this Dolly Set can bear the load of a car that weighs up to 4000 pounds with tires up to 14 inches wide. 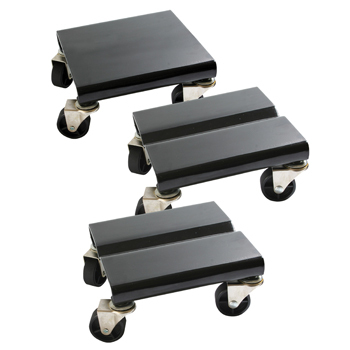 3.5 Inch steel casters with swivel action bearings easily roll 360 degrees in any direction. Each dolly holds up to 1,000 lbs. 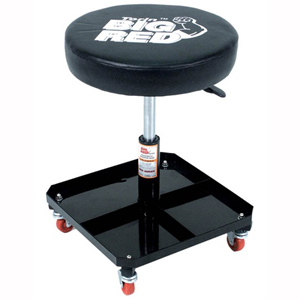 Whether you are a mechanic with your own shop, to or a weekend motor enthusiast, the Black Bull Adjustable Roller Seat will help make auto repair easier. 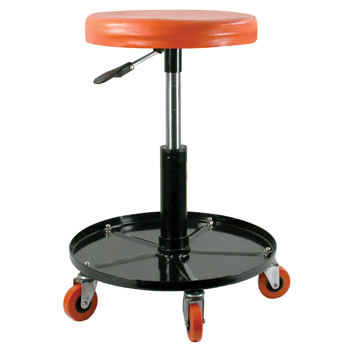 The 360 degree swivel padded seat and 5 heavy duty swivel casters let you easily reach between the project and the toolbox. 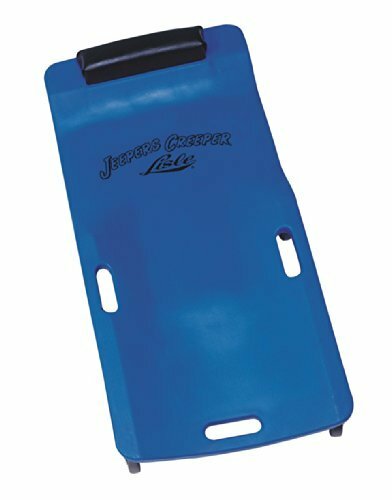 A 15 inch steel tool tray keeps the tools you use the most off the floor so they won't get in your way. 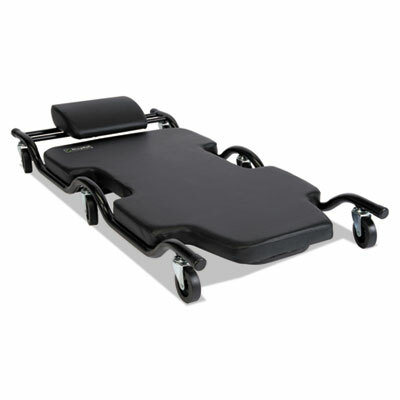 The seat easily adjusts with one hand from 16 to 20 inches to help keep you comfortable. 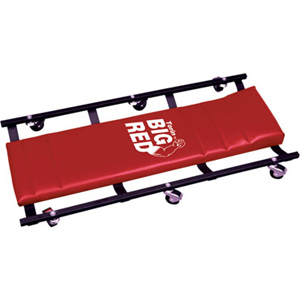 Features steel construction with a 300 pound weight capacity. Unique design for low height detailing and alignment applications. Vinyl upholstered seat and back. Welded 1" tubular steel frame. Integrated parts tray with cup holder. Four 3" industrial pin casters. Dual back bar support. Ground Clearance: 1.5; Weight Capacity: 300 lbs. 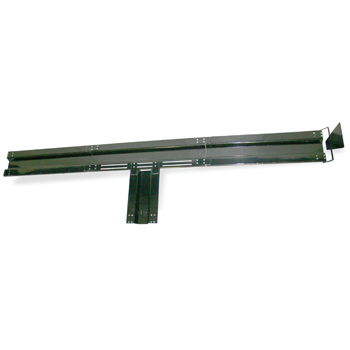 ; Caster/Wheel Size: 3"; Material(s): STEEL FRAME. 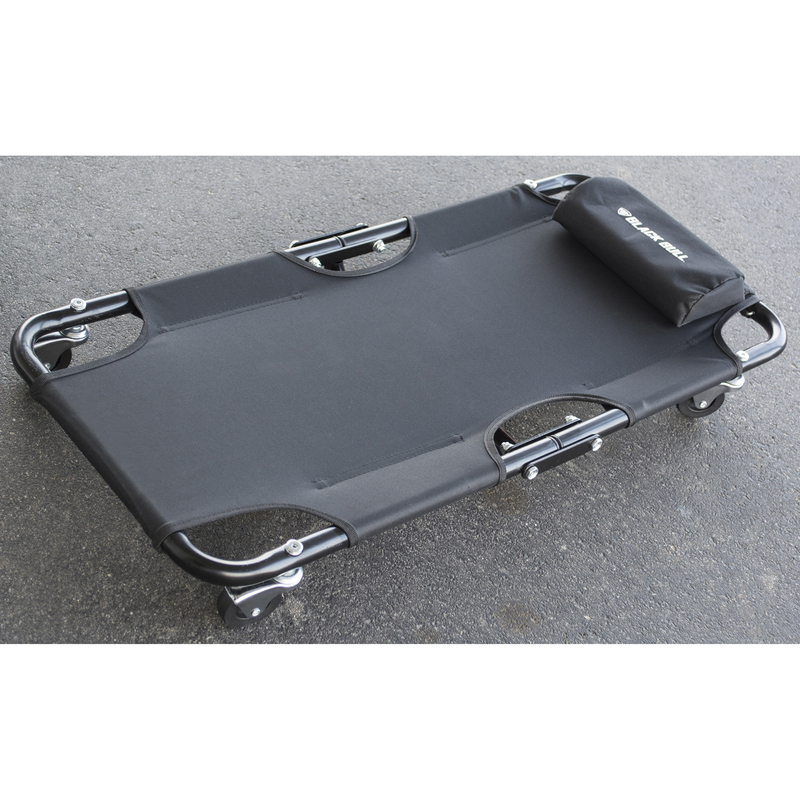 The Black Bull 36 Inch Folding Mechanics Canvas Creeper rolls smoothly and easily on garage floors. This Creeper makes tough and tedious jobs under the carriage easier and more comfortable to complete. This Folding Car Creeper folds in half making it easy so store out of the way while not in use. 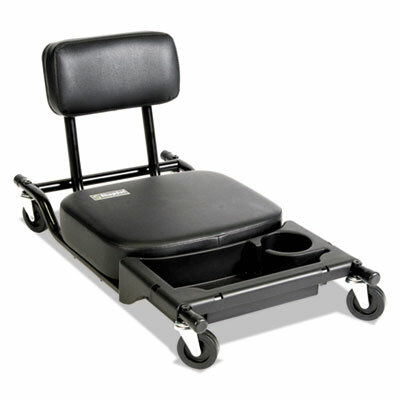 Perfect for the home shop and garage, 4 swivel casters and a 1 inch steel tube frame can hold up to 330 lbs. 1.5" low ground clearance. Vinyl upholstered bed and headrest. Welded 1" tubular steel frame. Six 3" industrial pin casters. 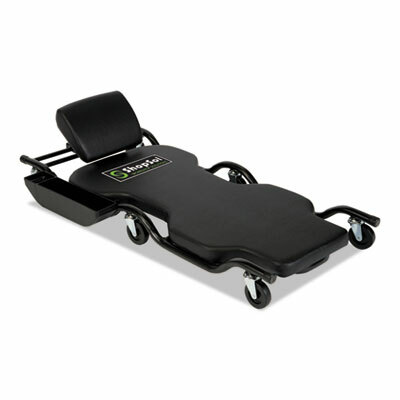 Ground Clearance: 1.5; Weight Capacity: 450 lbs. 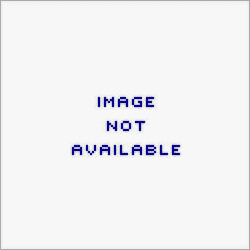 ; Caster/Wheel Size: 3"; Material(s): STEEL FRAME. 1.5" low ground clearance. Vinyl upholstered bed and headrest. Welded 1" tubular steel frame. Six 3" industrial pin casters. Ground Clearance: 1.5; Weight Capacity: 500 lbs. ; Caster/Wheel Size: 3"; Material(s): STEEL FRAME. 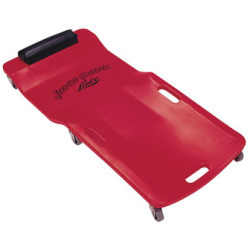 Use the Snowmobile Dolly Set to store your snowmobile off the garage floor. Four 360 degree swivel casters on all three pieces make maneuvering easy, whether you are inside the garage or a storage space. 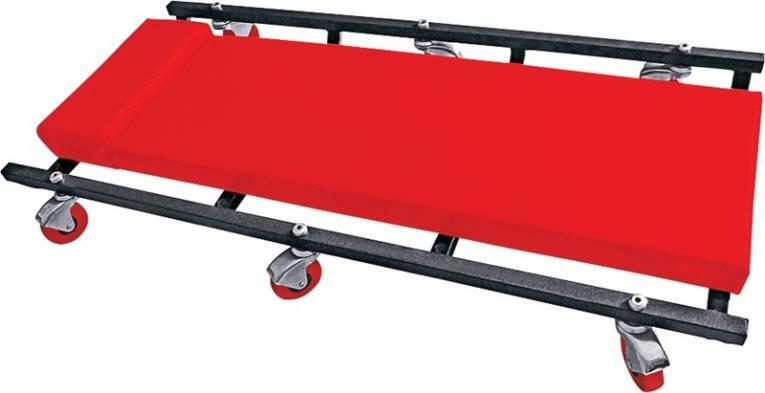 The dolly set is covered in a powder coated paint finish that helps to resist rust from developing on your snowmobile. The three dolly set includes two for the front skis of your snowmobile and one for the rear rack. 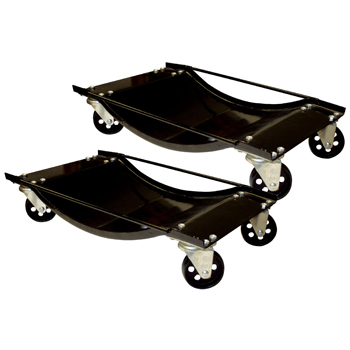 The durable steel dolly set features a 1500 lb max weight capacity, so it will hold most snowmobile makes and models.